What do the Nokia 3310, Polaroid camera and NES all have in common? They’re just some of the toys from yesteryear we can’t quite let go. Consumer giants like Nokia and Nintendo have recognised this fact, resuscitating old stalwarts for an expectant crowd. The last two years have seen a rapid spike in the number of retro devices that hark back to the ’80s and ’90s when the internet was in its infancy and computing power no bigger than a thimble required a dedicated room. Retro is nothing new, of course, but it’s amazing that consumers are embracing this backwardness in their technology. Below, we run through some of the old-school riches on sale today and try to explain what’s going on. Who needs a PS4, Xbox One or cutting edge PC when they can dine out on the Nintendo Classic Mini? 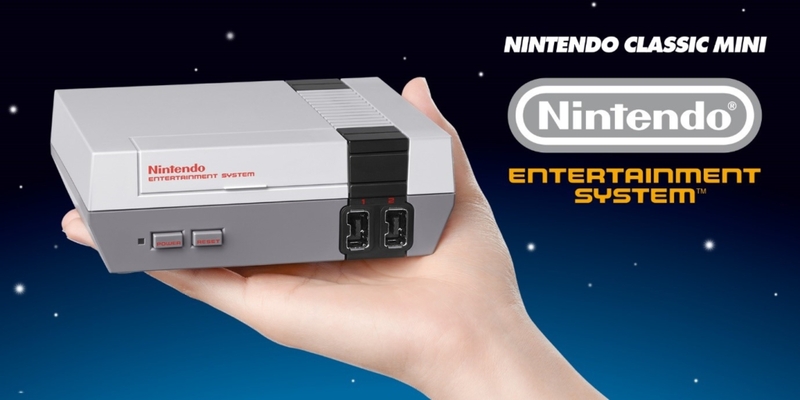 A gift from the retro gods, the Classic was released in November last year and is designed to relive the glory days of the early (Nintendo Entertainment System) circa 1986. With 30 titles to play including favourites like Super Mario Bros, Donkey Kong, Zelda and Punch-Out!! and a period-perfect controller to boot, this is one way to get your dose of nostalgia. Bad news: according to several sources, the Classic Mini was discontinued only last week despite over a million units sold, suggesting Nintendo plans to ensure this becomes a collector’s item one day. To celebrate its 20th anniversary in the West, Bandai is gearing up to give ’90s babies a heavy dose of nostalgia in the form of the Tamagotchi’s return, which is already on sale in Japan and being readied for an international release later this year. Tamagotchi 2.0 is based almost entirely on the looks of the original, with the same oval, egg-shaped shell, black and white screen and retro sound effects. The body is marginally smaller than the original but almost every other feature remains intact, and the Tamagotchi is flying off store shelves in Japan. This isn’t the first return Tamagotchi has made, but it’s the first time makers Bandai are repackaging the old toy in the guise of the original, sans modern colour screens and more. Truly, retro is the new cool, as the Tamagotchi’s return proves. Tried writing amidst modern distractions? It can be difficult at the best of times and several distraction-free writing apps have been invented to make life easier. 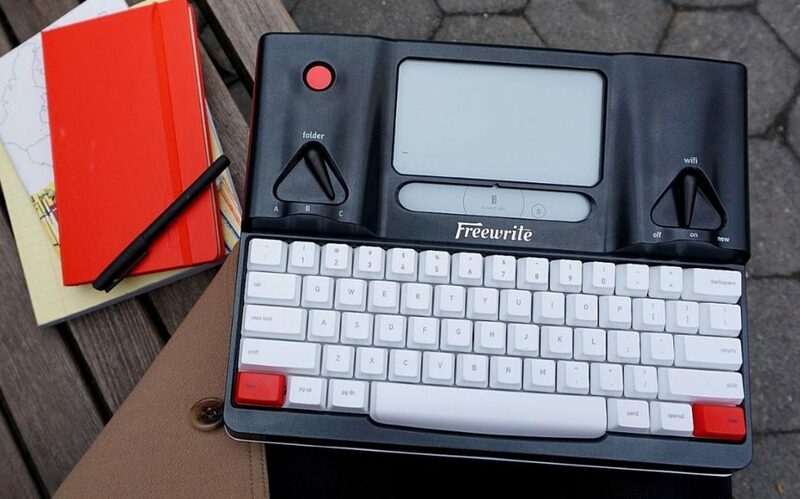 The Freewriter is a distraction-free app taken to the logical extreme: a physical device that mimics old typewriters alongside a small black-and-white LCD screen. There’s no Chrome, no Safari, no way of browsing the net: just you and the keys. The Freewrite comes with a hefty $500 price tag and the option to save your work to the cloud. It’s a nice idea, if a little pricey, but expect more typewriter-esque machines to make an appearance as writers try to escape online noise. Snap isn’t the first Polaroid camera to make a return from the halycon ’80s, but it’s arguably the best. 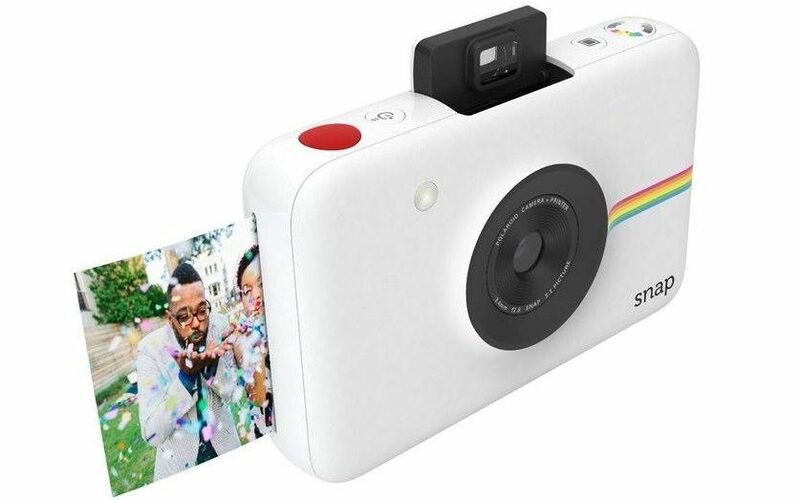 It’s a 10 MP digital camera that uses an integrated printer – dubbed the ZINK Zero Ink – to print photographs within a minute. Users can take selfies with a self-timer or store their photos on a 32GB onboard memory card for later use. Snap retails at just shy of $100 while 50 sheets of paper will set you back $25. All in all, it’s a more expensive way of enjoying your snaps, but an undeniably clever reinvention of a classic. Think there isn’t a market for old-school phones that shirk modern frills? Think again. 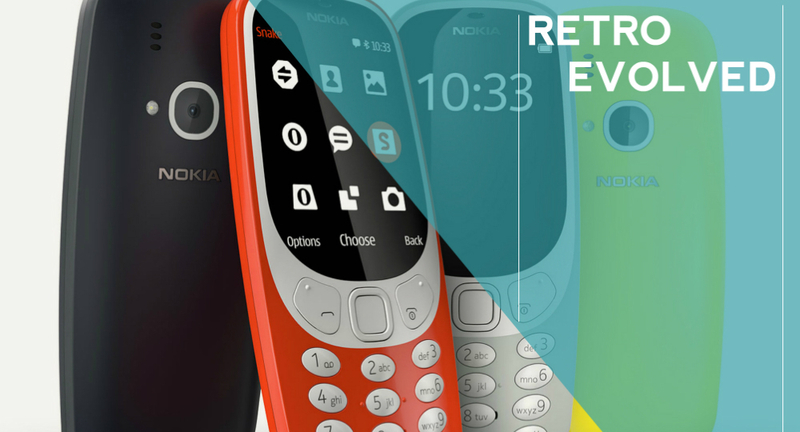 Nokia turned heads recently when it announced it was re-releasing the old stalwart – the indestructible 3310 – with an updated look and feel. Operating systems like Android and iPhone OS are the obvious options for modern smart phones, but Nokia has stayed resolutely retro, sticking by their old Nokia Series OS which powered the original 3310, albeit with some marked improvements this time around. You can use a camera now, browse the web (on 2.5G), listen to music and, perhaps most importantly of all, play Snake. The new Snake is indicative of the phone overall: a homage, but one that doesn’t feel all that familiar to the one of old. 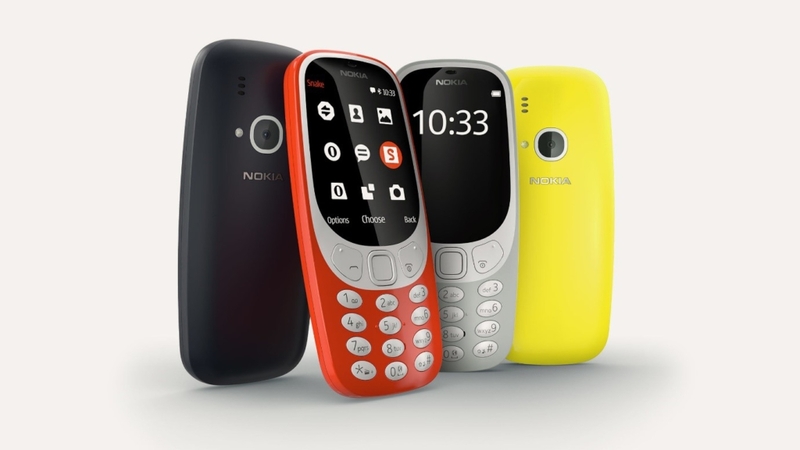 In fact, we’d have liked to see the 3310’s return stick even closer to the old template, but the thinner, lighter body does make it easier to carry round.